At the American Red Cross we believe in empowering people to prepare for, and respond to, emergencies of all sizes. One of the ways we do this is by providing individuals with the information and skills they need to help during times of crisis. By taking our CPR, AED, and first aid classes in Cincinnati, you're joining the ranks of millions worldwide who will be there to help when it's needed most. When you choose one of our in-person first aid classes in Cincinnati, you'll get personalized attention and the hands-on training you need to help someone in need. Delivered in a traditional classroom setting, these classes include lecture and skills training, as well as ample time for questions and discussion. Our in-person Cincinnati first aid certification courses take just a few short hours to complete, but give you the skills and confidence needed to provide care during an emergency. Our Simulation Learning courses are designed for those who want the convenience of online classes, the confidence that comes with hands-on experience, and full certification. After signing up for one of our blended Cincinnati first aid classes you simply need to complete the online coursework, then demonstrate your skills to a certified instructor. Once both sections have been successfully completed you'll receive full certification that's valid for two years. 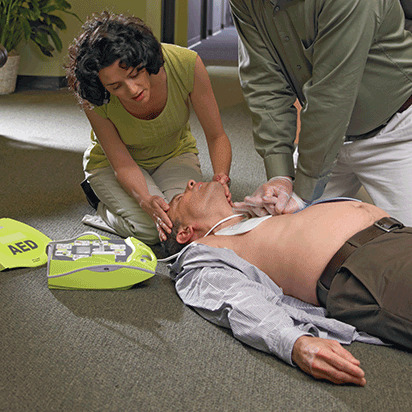 Find first aid classes in Cincinnati that can help your school create a safer campus community. When you become part of the Red Cross Schools Program your teachers and administrators will not only receive first aid training from the American Red Cross, but they will also learn how to train their students for free. Find out how to join our program. When it comes to first aid, it's important to know how to treat both kids and adults. That's why, in our Cincinnati first aid classes, we'll review the procedures for caring for adults separately from those that are applicable to kids. By doing so, our instructors make it easy to understand the differences when providing care so that you can help each person according to his or her needs. Because children and infants require special care during times of crisis, our first aid classes in Cincinnati include detailed information on helping kids who are sick or injured. This way, you can provide children with the care they need in a way that won't cause further damage to their growing bodies. Whether being certified in first aid is critical to your job or you're simply a good samaritan, it's important to know that your Red Cross certification is only valid for two years from its award date. However, with our convenient, abbreviated recertification classes, it's easy to renew your skills, refresh your memory, and maintain your credentials. After completing your first aid training in Cincinnati, you can use our fun, free refreshers to maintain your skills. Designed to be taken on your own schedule, our online refresher materials include quizzes, interactive games, activities and videos that can help you remember how to provide care when it's needed most. In order to keep your skills sharp, we recommend that you complete at least one refresher activity every three months throughout your two-year certification period. In Cincinnati, first aid classes from the American Red Cross are taught by local, knowledgeable professionals who can help you understand the latest science behind our methods – and learn how to administer care properly. All of our courses are created by experts in the field and reviewed by Red Cross Scientific Advisory Council, which ensures that you receive the most accurate and current information available.